Heat oven to 425°F. 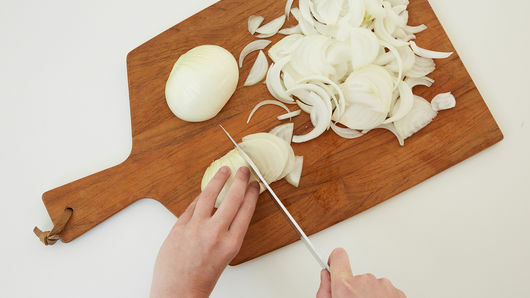 Cut onions in half, and cut into 1/4-inch slices. In medium bowl, mix onions, garlic, 1 tablespoon of the oil and the sugar until evenly coated. Place on ungreased 15x10x1-inch pan. 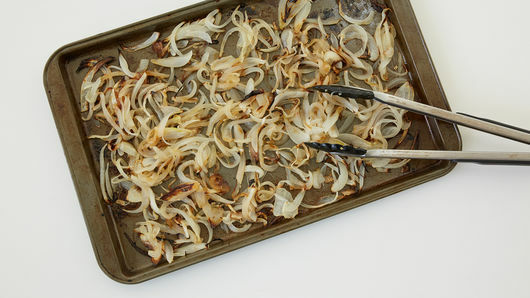 Bake 25 to 30 minutes, stirring occasionally, until onions are tender and starting to brown. Meanwhile, in 12-inch ovenproof skillet, heat remaining 1 tablespoon oil over medium-high heat until hot. Add pork chops; cook 3 to 4 minutes on each side or until lightly browned. Sprinkle with thyme, salt and pepper. 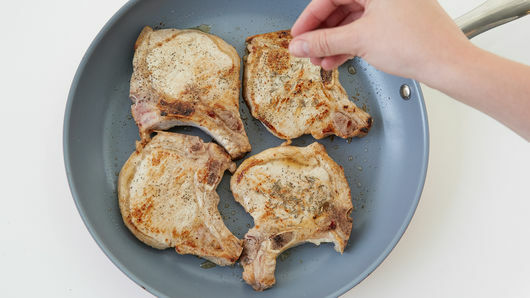 Top pork chops in skillet with cooked onion mixture. Add broth to skillet. Reduce oven temperature to 375°F. Bake 10 to 15 minutes or until pork is no longer pink and thermometer inserted in center reads 145°F. Top each pork chop with 1 slice cheese. Bake 2 to 3 minutes or until cheese is melted. 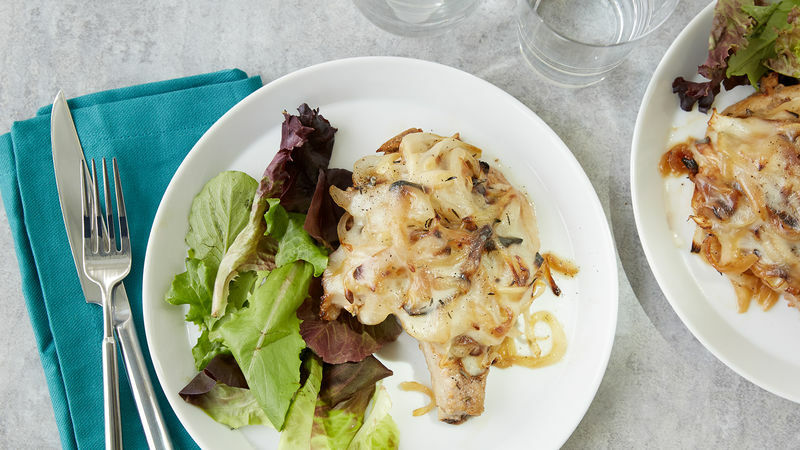 Round out these delicious pork chops with a fresh salad and crusty French bread. Brighten it up by sprinkling with chopped fresh parsley before serving.